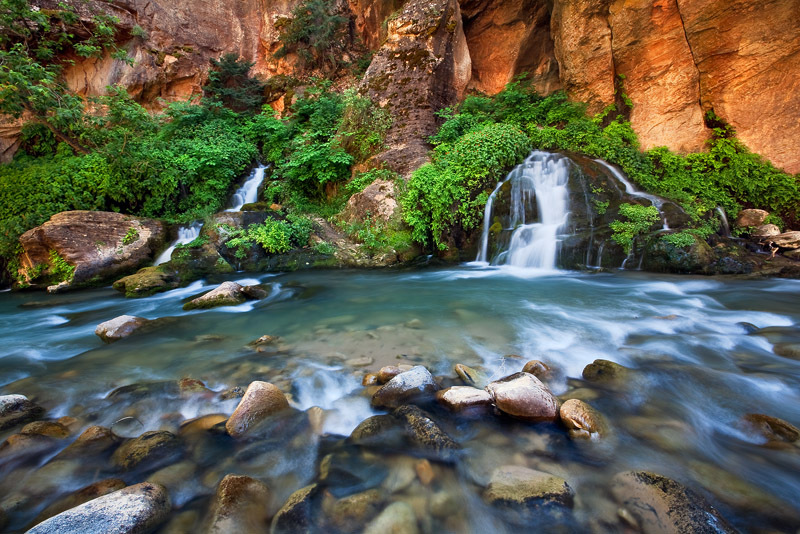 Lush, vibrant colors compliment the red rock lined slot of the Big Springs section of Zion's Virgin River backcountry. This photo was captured as the canyon walls glowed with warm, reflected afternoon light turning them a bright orange. Photo © copyright by Michael Greene.